Average temperatures in the Arctic and Antarctic are rising twice as fast as they are elsewhere in the world. Polar ice is getting thinner, melting and rupturing. Near the opposite pole in the Arctic, the melting of once-permanent ice is threatening the cultural identity of native people. 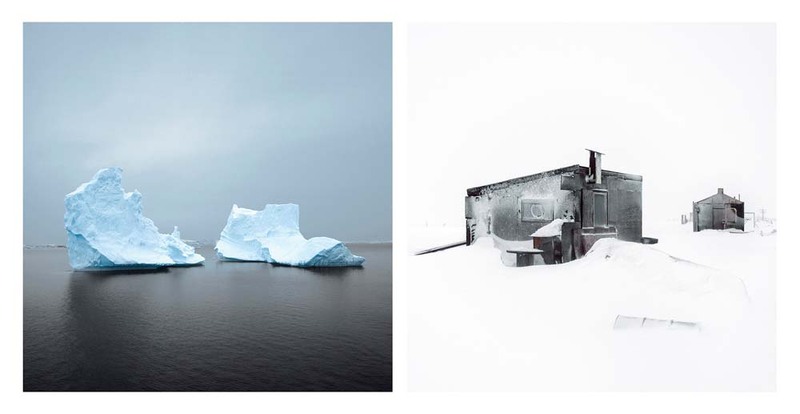 Adrift is a series that uses visual language as a means of polar comparison. 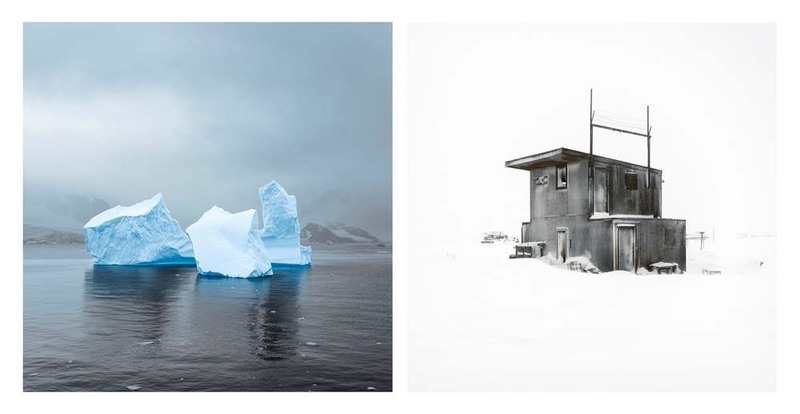 By pairing photographs of Antarctic icebergs and empty Iñupiat Eskimo hunting huts, whose shapes and volumes echo one another, it offers a personal commentary on the parallel effects of global climate change at opposite ends of the Earth. This project in progress takes inspiration from a Romanian folk tale exploring the notions of eternal life and the uncertain quest for our own destiny. It strongly draws upon the focus of time, cycles, birth and death. This is both a journey for the viewer as well as the artists' venture for answers. Time present and time past. Are both perhaps present in time future; and time future contained in time past? If all time is eternally present, then all time is unredeemable. The Contest of Meaning is a series of images that imitate and romanticize memories. The selective process of our memory is explored through each image. Some memories, though completely irrelevant, are lucid and clear, where others are almost surreal, tiny details tend to be manipulated or entirely missing. These images were created out of enthusiasm for nostalgia -- a desire to remember. Being part of the Center Awards Jury this year has been a real pleasure, the submissions were of a consistently high standard throughout and offered a great reflection on the current diversity of international photographic practice. 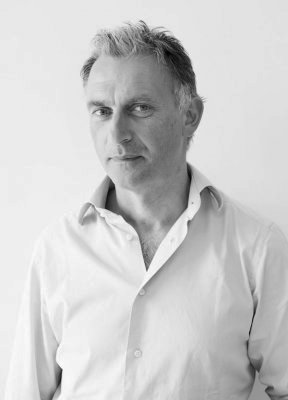 The works shared countless points of view and unique visions, they varied hugely in terms of approach from street photography and portraiture to longform documentary, collage, archive, tintype, landscape and more. The hundreds of projects presented some brilliant, engaging and innovative photography from around the world, with so many valuable ideas, thoughts and expressions it was a serious challenge to select single winners from such a diverse pool. For me the most arresting images are the ones that make us think harder, look longer, read more deeply and those that provoke wonder. I’m interested in photography that dares to be different and that tells unfamiliar stories, aesthetically as individual images or in series, as well as pictures that disrupt expectation or surprise us, these are the kind of images that open your mind to new possibilities. There were many projects of this kind that stood out amongst the hundreds of entries, alongside these of cause there were many talents who are also moving in the right direction and should not be discouraged. Inevitably for the awards I have made a very personal selection of works all of which resonated with me and demonstrated strength of originality together with a high level of visual communication and production. 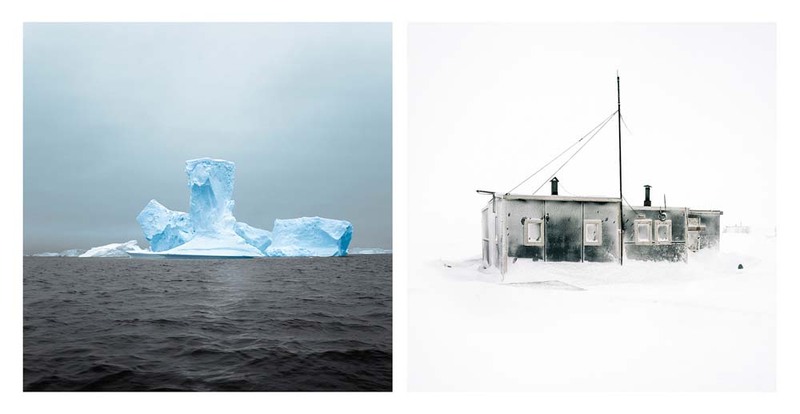 Magda Biernat's award winning series Adrift is concerned with the changes in the Polar ice, focused on the Arctic and Antarctic. 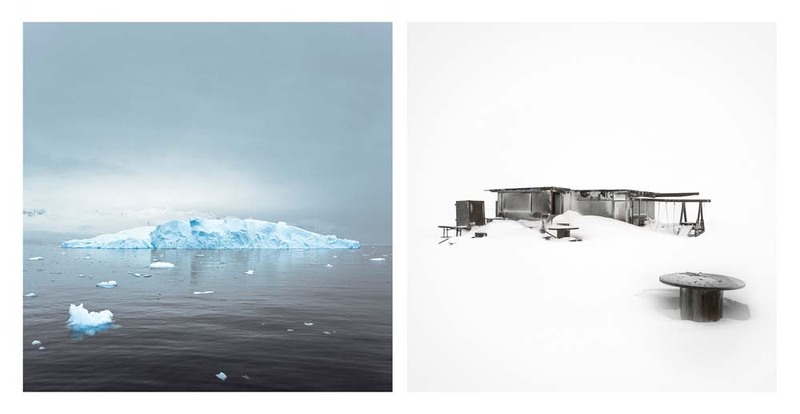 In both of these environments the culture, land, architecture and geography is changing rapidly. 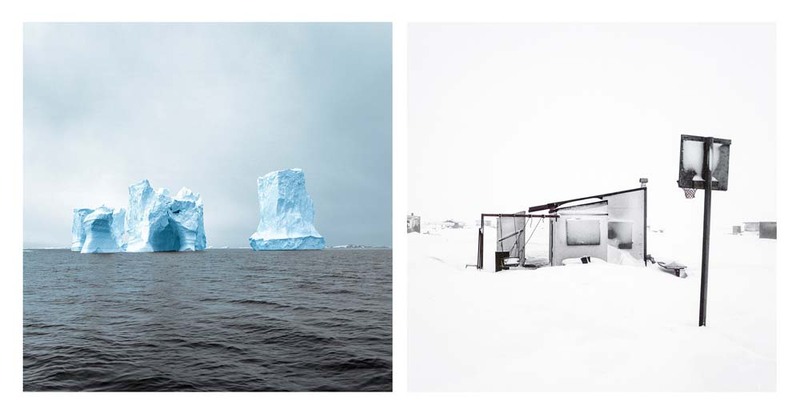 By combining stunning images that study icebergs and Eskimo hunting structures she draws our attention to the effects of climate change and its impact on cultural identity. Laura Pannak has developed a mythical project titled Youth Without Age, Life Without Death inspired by a Romanian folk tale that weaves a narrative red thread around eternal life and the analysis of time. Her work develops a fiction played out in through manipulated landscapes and original folkloric characters. The third series that I selected is The Contest of Meaning, by Keli Anne which is focused on the romanticisation, manipulation and fallibility of memories, I was really attracted by her playful yet sophisticated aesthetic and deceptive collage, combined with a focused tonal range. For all of the winners I was drawn to the pictures which forced me to return and those with an elusive quality that is only possible to articulate through photography, images that I couldn't forget. 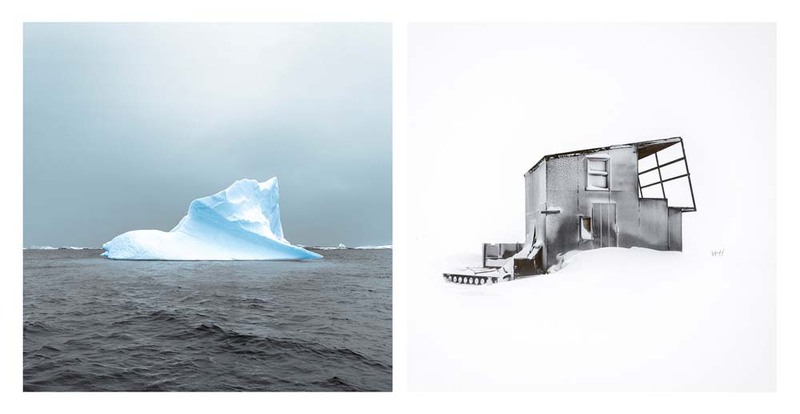 The three selected series encapsulate what photography is about today, although very different from each other, they all intelligently record and imaginatively examine important aspects of our human existence and environments.